The Rose Hair Tarantula is a moderately large tarantula. A fully mature Rose Hair can reach approximately 6 inches in its total leg span. They reach full size in about 3 – 4 years. They are usually either dark brown, blackish or grey in their base color. 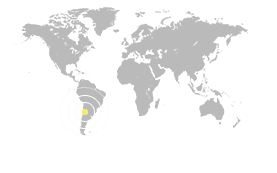 Some Chilean rose hair tarantulas have orange/reddish hairs all over their body, while others have a tan body with pink hairs and some have copper colored hairs. They have eight eyes that are very small and generally not very strong. Two large fangs can be seen at the front of the head with two pedipalps, or leg looking appendages near the mouth. Habitat/Range: Found throughout northern Chile. Also found in parts of Bolivia and Argentina. They are primarily desert and Scrubland dwelling. They like to dig burrows in the ground for cover instead of spinning a web. Diet in the Wild: Nocturnal predator of small arthropods. Prey is injected with venom and enzymes that begin breaking it down into ingestible fluids. They do not spin a web to catch food, they will case after prey to inject venom. Predators: Birds of Prey and large reptiles are main predators. Humans are also predators, killing the tarantulas with the misconception that they are dangerous. Life Cycle and Social Structure The Rose Hair Tarantula is known for being one of the most docile of all tarantulas. However they are aggressive towards each other, even females will fight if left in the same enclosure. The female will also eventually eat the males if left too long together. Tarantulas tend to hide during the day and hunt at night. Like all New World tarantula species, these spiders can flick their hairs off their abdomens, causing an irritating reaction in an attacker. After a short display, they will beat a hasty retreat or more commonly will simply walk away. High-strung specimens will often show a dark bald patch on their abdomens from flicking away the hairs. If hair flicking does not deter the predator the tarantula may then rear up on its back legs and display its fangs. Biting is usually reserved as a last defense for this species. Spiders are oviparous, which means their babies come from eggs laid in a large egg sack. Females will produce an egg sack a few weeks after mating has occurred. This species produces large egg sacs, usually containing in excess of 500 eggs. The female will carry the egg sack under her body protecting it until the eggs have hatched. Once the young hatch they are left to survive on their own. Typically, the male will die in the weeks following a successful mating. Immature tarantulas molt up to 4 times per year; adult females molt once a year throughout their adult life. They reach sexual maturity at 2-3 years of age. The Rose hair tarantula is a solitary arachnid. They live in burrows in the ground which they have dug or found abandoned by rodents. Burrow is lined with silk produced by the spider. They don’t make aerial or food catching webs. In the wild males live about 3-10 years while females may live for 15-20 years. In captivity males typically live less than 2 years with females living an average of 12 years. All spiders have venom that is effective on small arthropods. While rose hair tarantulas are not usually harmful to humans, people with allergies to other arachnids such as other spiders or scorpions may have a reaction if bitten by the rose hair. The tarantula’s hair-like bristles serve them in many ways, but primarily as sensory structures. Some are sensitive to pressure, others to heat or air movement or vibrations. As they outgrow their existing skin all tarantulas regularly go through an extensive molt, shedding their entire skin as well as the linings of their mouth, fangs, respiratory organs, stomach and sexual organs. Unlike other most other spiders, tarantulas do not catch prey in webs. They stalk and attack their prey similar to a jaguar. Most tarantulas can go weeks without eating but water is necessary. The largest spider is the Goliath Birth Eating Tarantula, which can have a leg span of 12 inches. Despite its impressive size its venom is not dangerous to humans. The smallest species of tarantula discovered so far is only the size of a fingernail. Conservation Messages: Tarantulas play an important ecological role because they prey upon insects. By eating insects they help control pest species that damage crops and homes. Most species of spiders help with pest insect control. Even though tarantulas are not found naturally in Pennsylvania, it is still important for us to realize that spiders are vital to our environment, even in our own backyard. What You Can Do: Create a spider friendly garden. Planting natural areas around your house or community encourages wildlife into the area by providing food and shelter for those species. Keeping undisturbed areas under shrubs or in flower beds will encourage spiders to create their webs in these areas. Spiders help keep gardens healthy by eating pest species that can destroy trees, flowers, and bushes. Spiders can also help by catching mosquitoes in their webs which will create a happier outside oasis for you and your family. Buying locally can also help spiders. Buying produce from local farms who use sustainable and ecologically friendly practices can help spiders by providing them with a place to live. Spiders help the farmers by eating pest insects that can destroy crops. Information Sheet from the San Francisco Insect Zoo, 1991.
de Vosjoli, Philippe. 1991. Arachnomania, the General Care and Maintenance of Tarantulas and Scorpions, Advanced Vivarium Systems, Lakeside, CA.